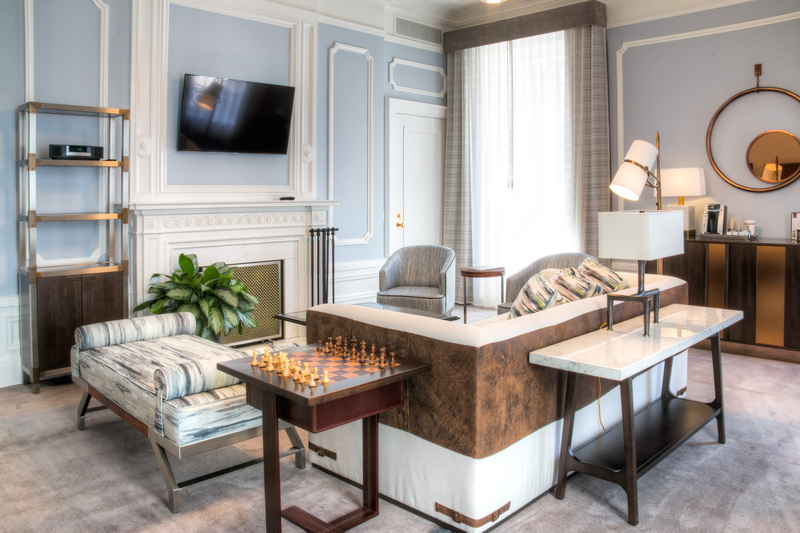 Overview: San Francisco’s Palace Hotel completed a $40 million renovation in October that brings the iconic property back in line with expectations for a hotel that calls itself a palace. 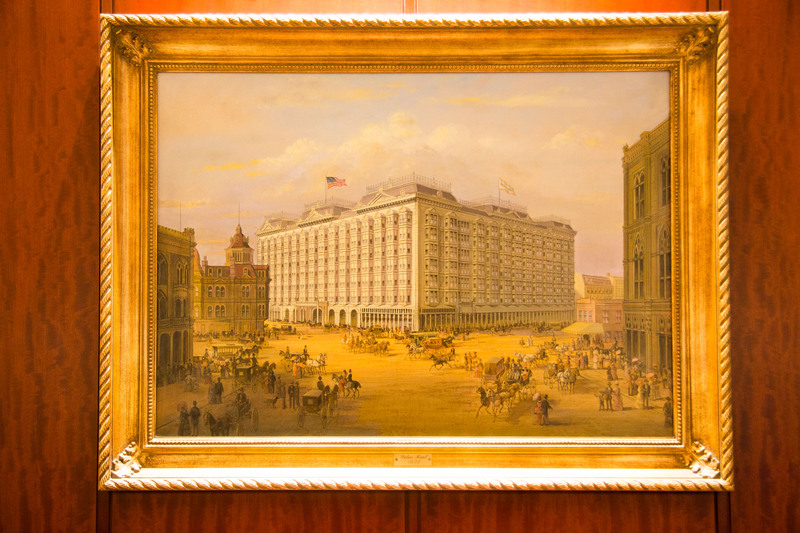 When the Palace opened in 1875, it claimed the title of world’s largest hotel. The seven-story behemoth towered over San Francisco’s dusty downtown with 750 guest rooms, many of which had their own bathrooms. Like most large buildings in the city at that time, it burned to the ground in the 1906 earthquake. 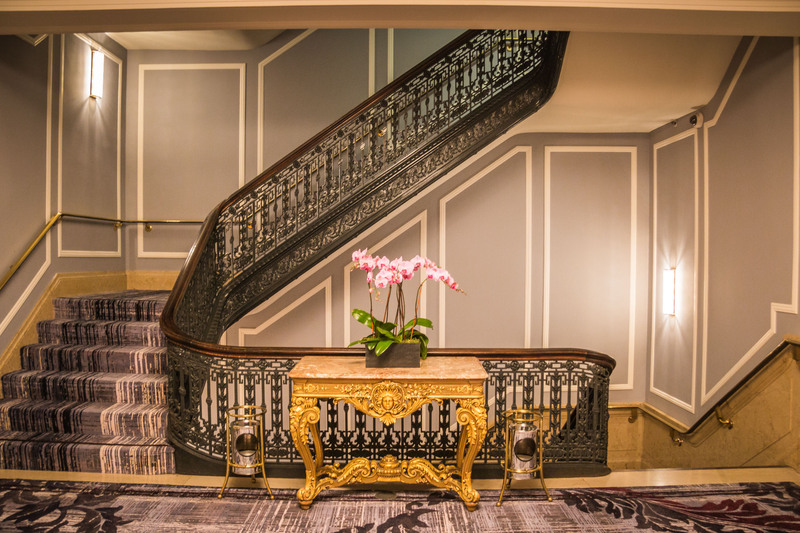 The owners rebuilt the hotel even bigger and stronger, and it remained one of the West Coast’s grandest hotels for decades. But as the neighborhood went south in the late 20th century, so too went the hotel’s prestige. 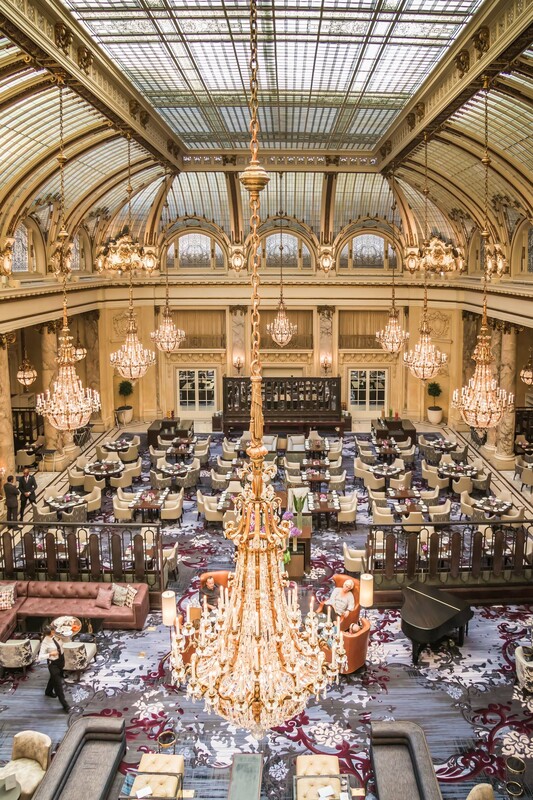 Forty million dollars – coupled with the city’s current building boom that has finally gentrified this once-forgotten stretch of Market Street – go a long way toward restoring the Palace’s standing as one of the top luxury hotels in San Francisco. 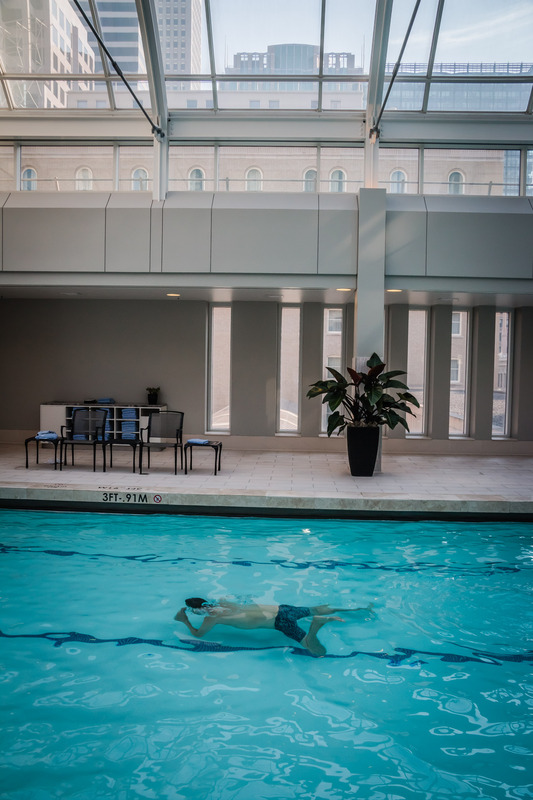 Every aspect of the property has been upgraded, from the famed Garden Court lobby/restaurant to the indoor pool. 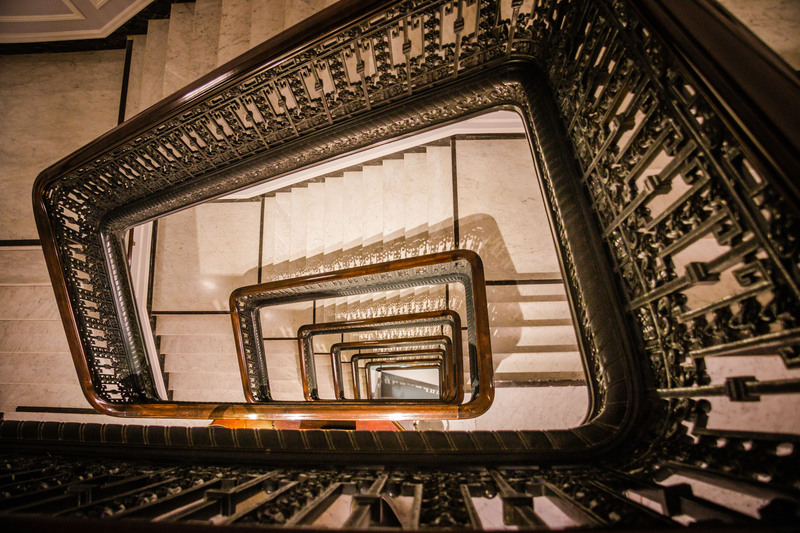 The eight-story hotel now counts only 556 rooms and suites – all with their own bathrooms, of course. It’s still one of the largest hotels in the city, but decidedly more intimate than in the old days. 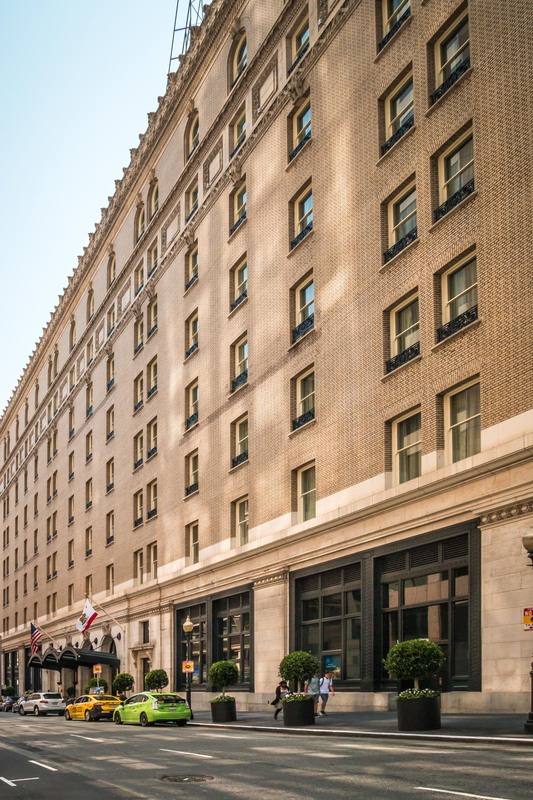 The location: The hotel sits at Market and New Montgomery streets, halfway between Union Square and the Embarcadero. 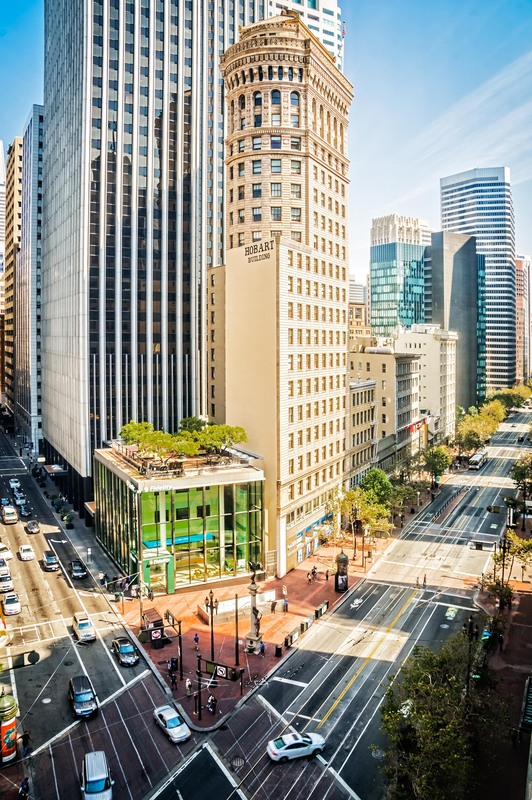 It’s directly above the Montgomery Street station for BART and Muni trains, making it a cinch to travel to and from the airport on public transportation. Room: Superior king. This is the entry-level room category, and at 300 square feet it’s one of the larger “superior” rooms in San Francisco. 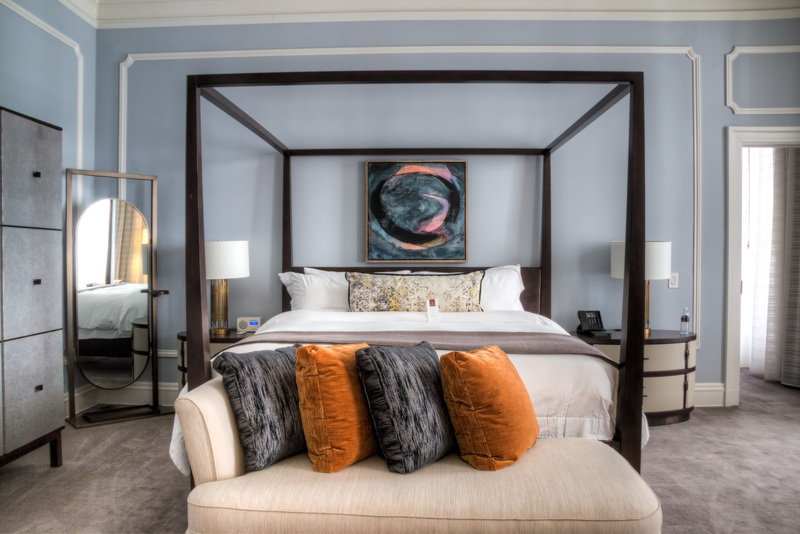 The bed is brand new, outfitted with extremely high-quality linens and down pillows. The marble-tiled bathroom features a rain shower and fluffy oversized towels, plus terry cloth bathrobes and slippers. The desk and bedside tables have more than enough outlets for charging phones and laptops. Wi-Fi: Very fast, $16 per day. 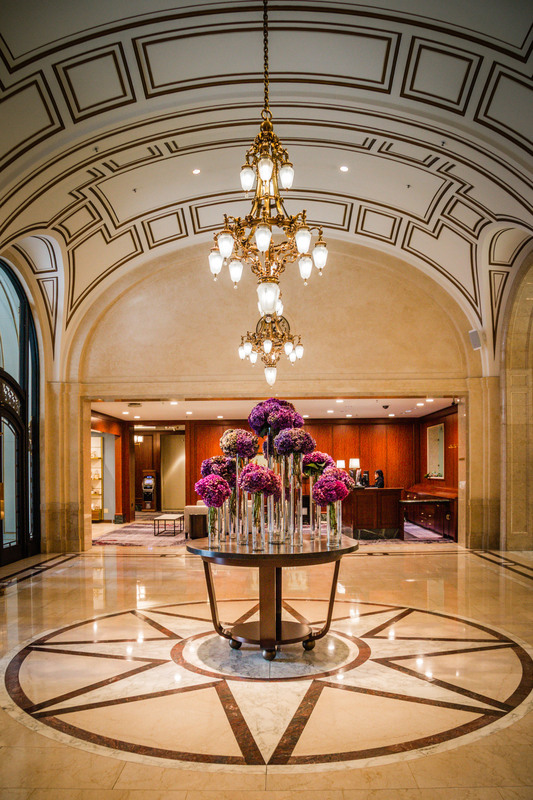 Complimentary only to Starwood Preferred Guest members who book directly through the hotel or Starwood. Food/drink: The Pied Piper Bar & Grill is named for the mural by Maxfield Parrish that adorns the bar, depicting the original owner as the Pied Piper. For such a large hotel, this cozy bar still feels like a secret hideaway. Meanwhile, come Sunday brunch, the revamped Garden Court is now one of the toughest reservations in the city. This is where green goddess salad dressing was created in 1923 and is still available on a salad of roasted vegetables sourced from a nearby farmers market. It is imperative to reserve brunch at least a week in advance. 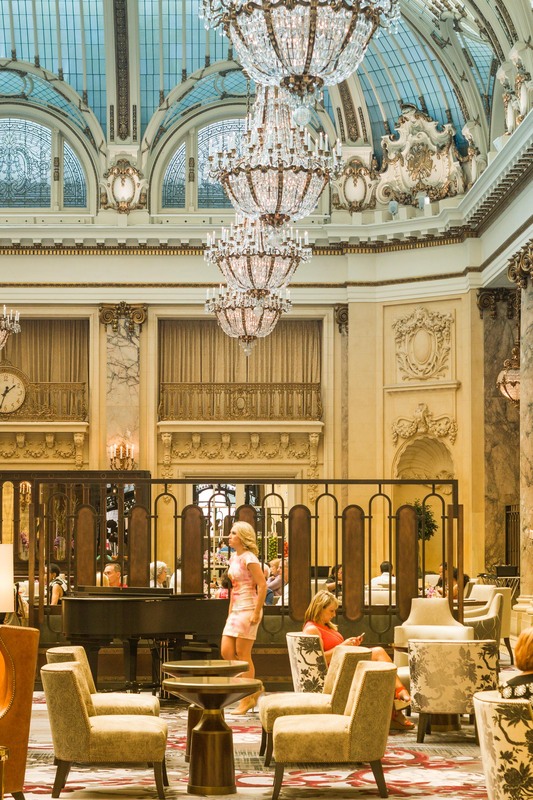 Public spaces: The grandest and most important space in the hotel is the Garden Court, which is divided into two sections: the lobby lounge, where a harpist plays Sundays; and the restaurant. The stained-glass dome that covers the court dates to the building’s rebirth in 1909, as do the massive Austrian crystal chandeliers, each of which probably weighs as much as a Fiat. The fitness center and pool are outstanding, but surprisingly, the hotel does not have a spa. Service: Every time I needed to interact with someone at the front desk, there was always a long wait. Merely two clerks for a 556-room hotel are woefully inadequate. But whenever it was finally my turn, the staff was always genuinely charming and helpful. I just wish there were more of them. Cost: $218, plus Internet and taxes. Bottom line: The Palace is back. 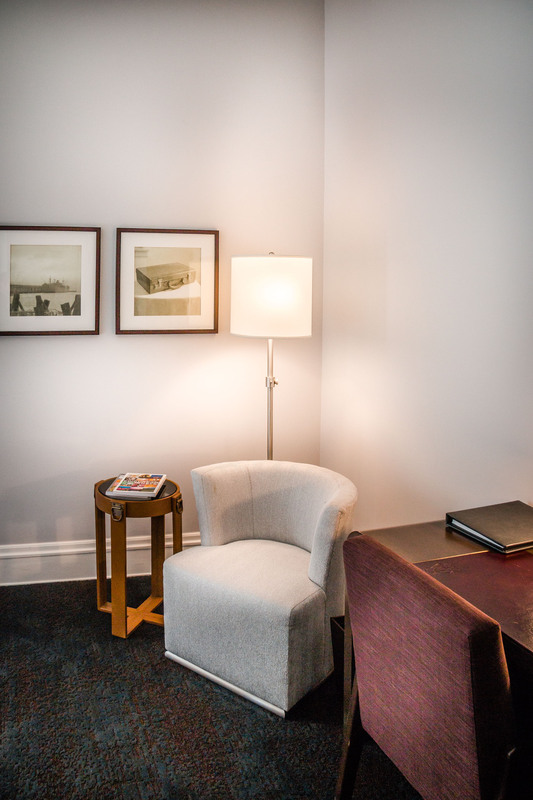 The newly revamped hotel is beautiful and conveniently located. It delivers a lot of luxury for the price. 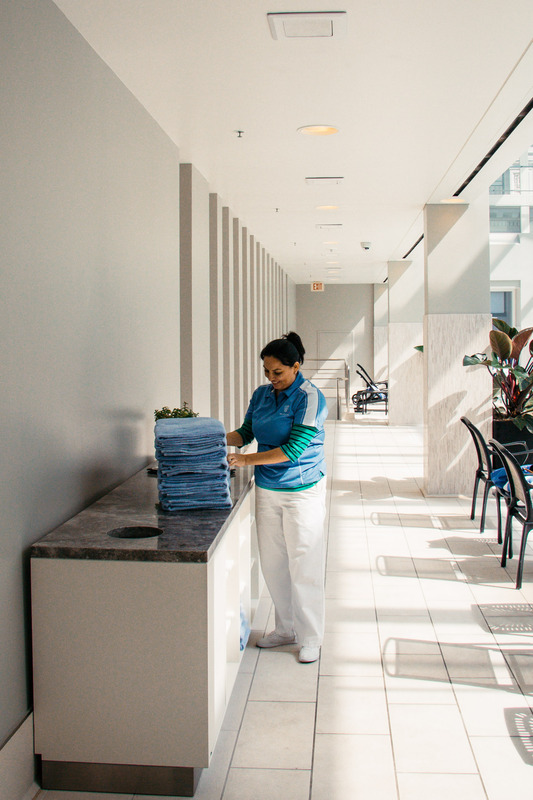 More front desk clerks at all times would make a huge difference in service, though, which makes a powerful first and last impression.